Two years ago, Susan Young, Chair of Pratt Institute's Associate Degrees Department and a graphic designer, went to Cuba to learn how graphic artists worked in a country that has almost no advertising. The resut of that trip can be seen this month in Tribeca. On Sept. 18, "Puros Cubanos: Cultural Posters from Cuba"—the first exhibit of Cuban poster art to be shown in the U.S.—will open at Front Art Space on Chambers Street and at the Pratt Institute. Below, in an edited conversation with April Koral, Young talks about the relatively new "tradition" of Cuban poster art and the challenges of being a graphic designer in Cuba. 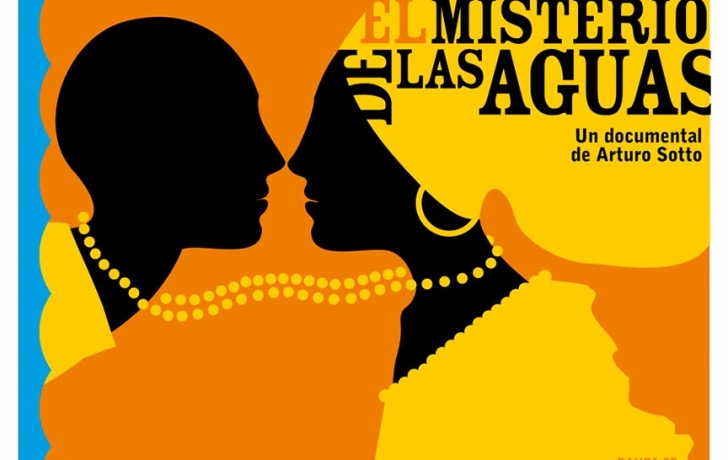 Poster art is flourishing in Cuba, but isn't it a comparatively new there? Yes. Poster design was introduced by the Soviets when they took over Cuba in 1959. The Soviets used posters to promote propaganda to the populace in Russia and they did the same in Cuba. So originally it started out as propaganda art. But it's turned into something that is a thriving art form. And it doesn't look like the kind of poster art we're used to. That's because you can see the influence of the Soviet lines which are very bold and dramatic, and then, when the Cubans opened their first design school in Havana, they had no teachers. So they flew in artists and designers from Germany who were heavily influenced by the Bauhaus Movement. So the art is Soviet mixed with German mixed with Cuban mixed with the whole Latin vibrancy, which is all about color, color, color. If you go to Cuba, you will see they have tangerine and aqua colored cars and houses! We all know that Cuba faces many shortages. Is that true for art supplies as well? They do so much with almost no supplies at all. One designer sketches with shoe polish because he can't get markers. Electricians are issued little red crayons for their work, so the designers talk to electricians and ask them to give them their extra crayons. I asked one designer what he would want more than anything else and he said, "Sharpies. I love them and they are so hard to get." How do they get the supplies they have? You have to know someone who knows someone who knows someone. There's also something called el paquete, which is like a black market Netflix that you subscribe to. Once a month someone knocks on your door and hands you a flashdrive that has come from someone in Miami by plane, then by bus and then by foot. And that's where you get your news, your illegal downloads of software. They also have very old technology. So if someone has a cousin in Miami who's coming, they'll bring them something. For paint, they have to ask favors from people. Even then, they don't have access to a lot of color, which is why sometimes the posters have a very limited color palette. Do you think that these limitations affect the work? First of all, Cuba is a very cultured society that values art a great deal. And that impacts the high level of their work. I think the limitations have made them more creative! They have very clever approaches to font, for example. They cannot go online and download a font, so they are more creative and they approach the use of fonts in a more artistic way. I think that’s the biggest take away I have from viewing their art. Do you think that life for these artists will change as a result of diplomatic ties with Cuba? Things have just started to change. In the past, graphic designers could only find work designing posters for government-sponsored cultural events. The last time I went, a bakery had printed its own business cards with a logo and the workers had the logo on their shirts! That was such a big deal! Someone had designed it for them. Two years ago that was unheard of. You still don't see logos anywhere. Billboards only have propaganda messages. Are the artists excited about the show? Very! They've all shown in Europe and Latin America. But the biggest fans of the United States are the Cuban people! "Puros Cubanos: Cultural Posters from Cuba" will be on display at Front Art Space, 118 Chambers St., Wed.-Sat., 4-7 pm, Through Sat., Oct. 3. The exhibit will also be shown at Pratt Institute, 144 West 14th St., 2nd fl. The five artists are Giselle Monzon, Michele Miyares, Nelson Ponce, Raul Valdes (Raupa) and Edel Rodrigues (Mola).